NetJSON is a data interchange format for encoding the basic building blocks of networking. Developing software that deals with networks is harder than it should. Developers have to take into account all the differences between vendors, operating systems, routing protocols, hardware and (when working with community networks) with the different approaches of each community. Very often, each vendor develops an entire stack that works exclusively with its own hardware and software. There exist many libraries and web apps for networking, but it is very hard to make them interoperable, that is, making them talk and understand one another with minimum effort. Instead of creating an ecosystem, we have been creating silos that hardly talk to each other. This is an attempt to invert this trend, following the successful example of the GeoJSON open standard. By defining common data structures we can allow developers to focus on their goals instead of having to struggle with the differences of each vendor, firmware, routing protocol or community. Moreover, we will lay the groundwork for an ecosystem to grow organically: once the standard JSON structures are defined and adopted it will be easier to write systems that work together, instead of creating silos. 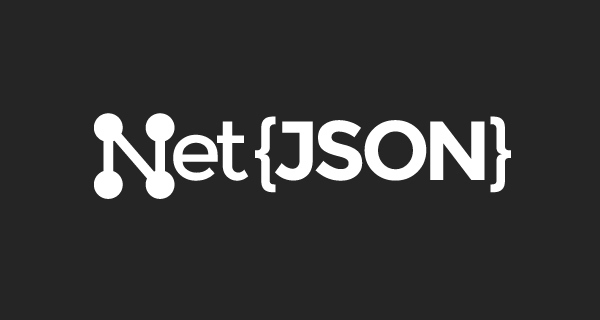 You can learn more about NetJSON at the dedicated github repository.